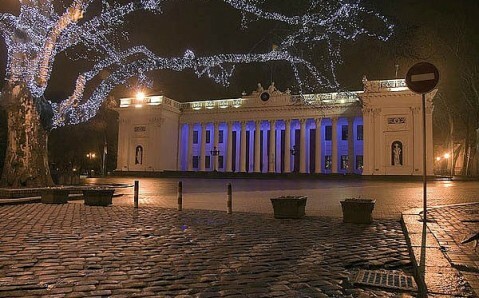 The building of Former Trade Exchange, now home to Odesa City Hall, is one of the most well-known sights of the Southern Palmira. 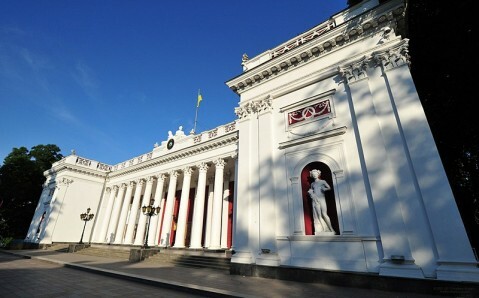 Located in the very center of Dumska Square, adjacent to Primorsky Boulevard, the splendid neoclassic building is a magnificent architectural monument as well as a possessor of considerable historical value – the meetings held here had an immense influence on Odesa’s life. 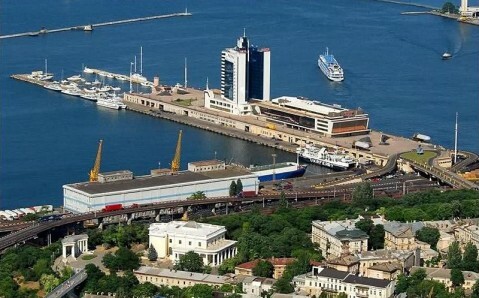 The construction of the building for Odesa Trade Exchange started in 1829. However due to plague that befell the city, and then because of necessary correction to the plan, the building was completed only eight years later. The project was devised by famous architect Franz Boffo, which had designed a lot of amazing buildings that formed impeccable city façade. It was a two-storey limestone edifice. 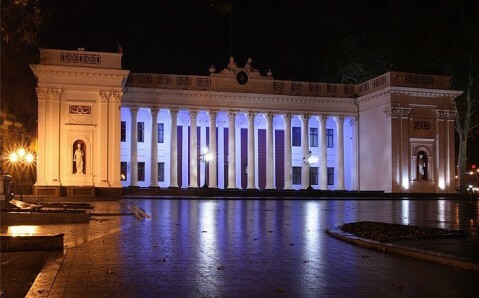 Decorated with two rows of Corinthian columns, the main façade was flanked by two buildings with huge two-floor-sized windows. Moreover, there was a cobbled patio from the boulevard side. Nevertheless, in 1870s, the building of the exchange was remodeled and enlarged to offer more space for commercial operations. The wall and a front door substituted the second row of columns; the patio was turned into indoor lobby, which featured mezzanine level and stairs. This space housed the White Hall. The gigantic windows were bricked up, and newly formed niches numbered sculptures of a goddess of fertility, Ceres, and a patron god of commerce, Mercury. 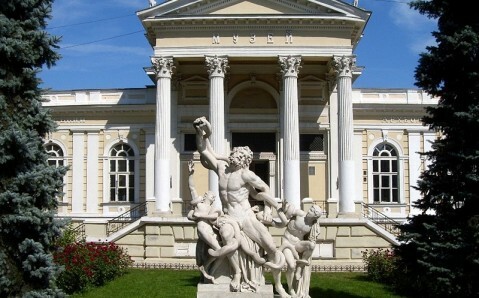 They symbolized the main Odesa’s source of income. At the same time, produced by renown English company clock was installed over the main colonnade. It was crowned by two female figures – Night and Day, personification of eternity. 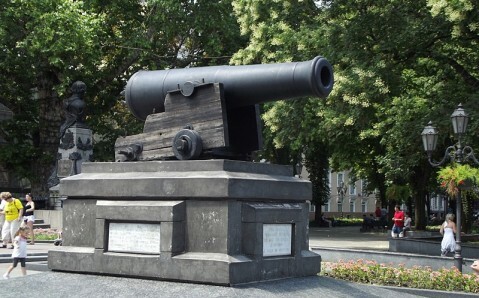 In 1904, the four tons naval gun was installed on the square in front of the City Hall. 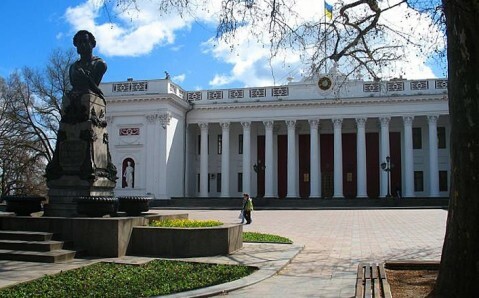 It is an original trophy, brought from one of the British ships, which besieged Odesa during Crimean War in 1854. Furthermore, the Former Exchange boasts not only interesting exterior, but also impressive spacious interiors. There is an original decoration of wooden suspended ceiling, hanging arches, leant on high columns, splendid chandeliers. 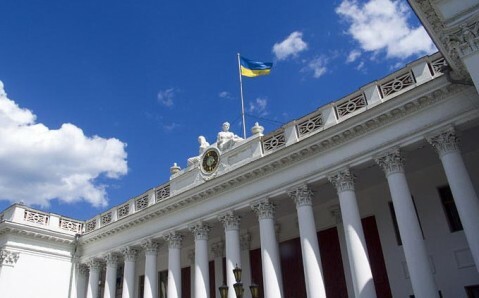 One can admire the building during the guided tours – they take place every Saturday (it is necessary to register in the Touristic Informational Agency of Odesa). 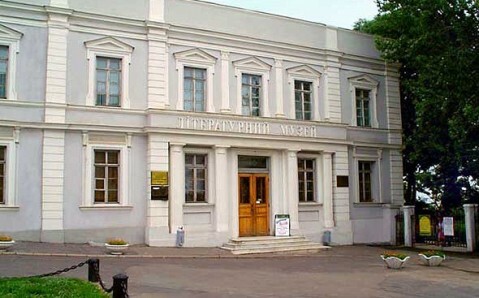 In 1899, Odesa Trade Exchange obtained a new building, and its former home passed into the ownership of Municipality, which holds its meetings here till now.